In which G.M. 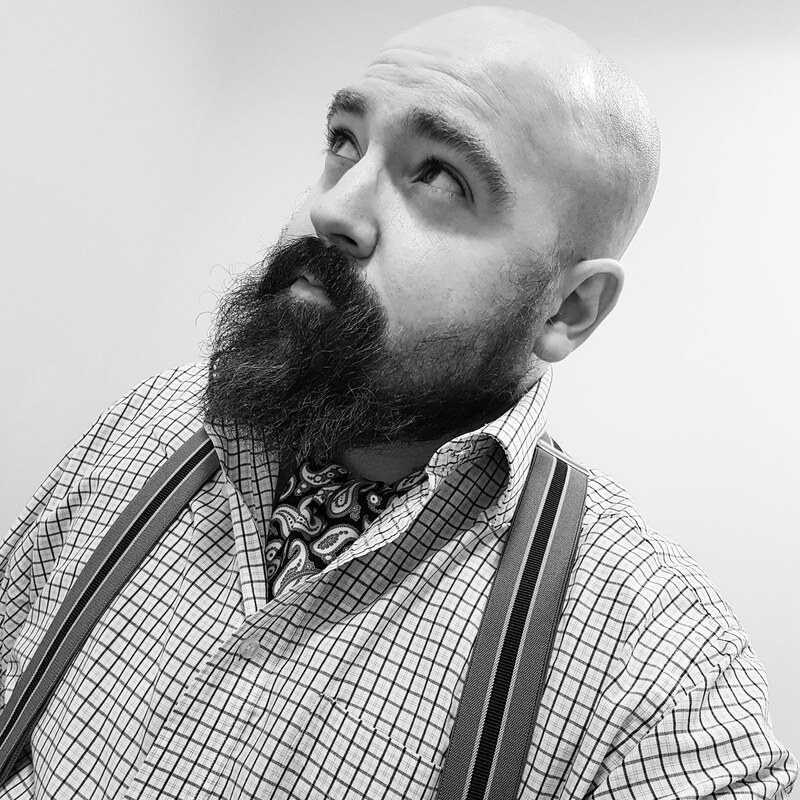 Norton samples some new shirts from Savile Row Company. I love getting new shirts. There’s just something very pleasurable about removing a pristinely-folded shirt from it’s plastic wrapping and knowing that nobody has ever worn it before. It's yours and only yours. I must be honest and admit that the majority of the shirts that I tend to buy are from charity shops. 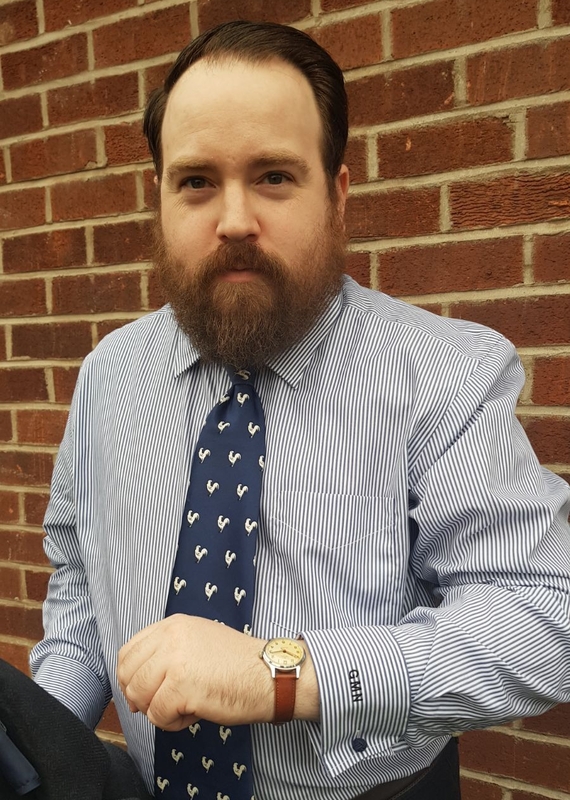 While that means that I get to sample some of the finest shirts for a relative pittance, it does mean that I miss out on that new shirt experience. The other thing not offered by one's beneficiary boutique of choice is the chance to request that the arms be shortened by an inch or a choice of fit or fabric. 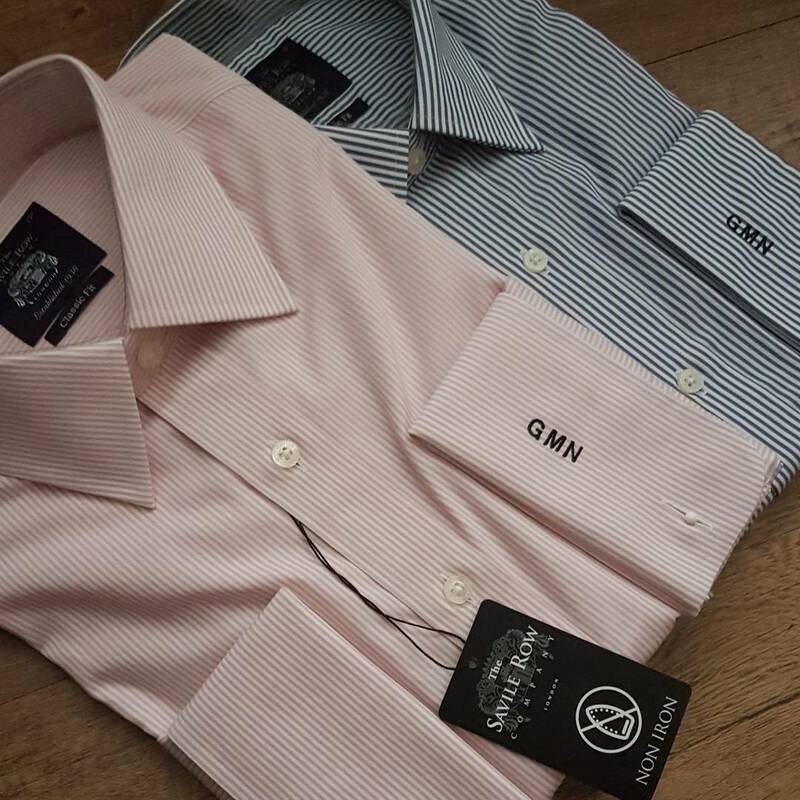 With all this in mind, when Savile Row Company were kind enough to offer me the chance to review a couple of their shirts from their ready to wear range, I practically snapped their hands off. It's good fun browsing different shirts, even if it is electronically rather than in person. There's lots of choice on the Savile Row Company website, although they are what I'd consider to be safe colour choices. There's no daring magenta to try to snare you in. I have a belief that if you're going to choose a new shirt, always go for stripes. Plain can be a little boring whereas stripes add a little more interest. With that in mind, I concentrated my search on stripes, and stripes alone, but also set the search parameters on the website for a 17 inch neck (yes, my neck is quite rotund), a classic rather than slim fit (I'm no Slim Jim), and with double cuffs as that's extra fancy and as you'll know by now, I appreciate extra fancy. I eventually decided on a pink stripe and a navy stripe. 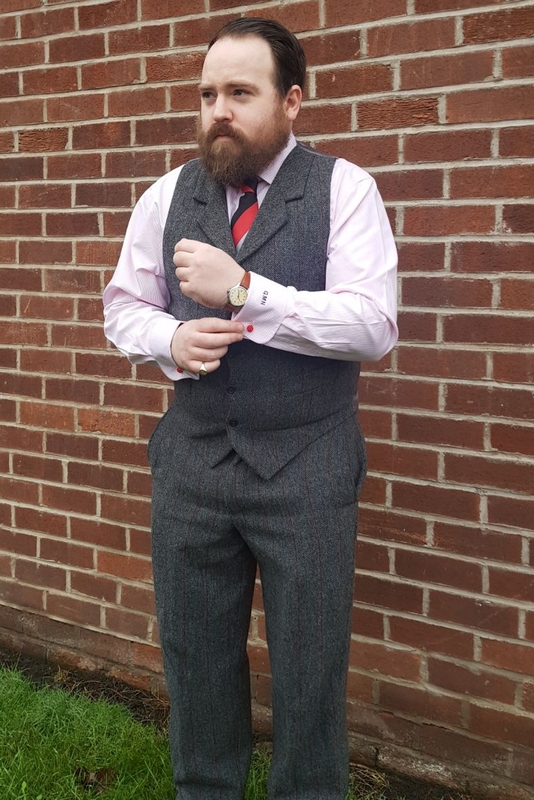 While I'm on the subject of fancy, I was super impressed to see that the Savile Row Company offered three extra options on their ready to wear range - the chance to have the sleeves shortened by either one or two inches, the option to choose the button colour thread and a monogramming service. How marvellous. As tends to happen with ready to wear, the bigger the neck size, the bigger the shirt everywhere else. Like many, that doesn't work for me as despite having a large neck, my arms are distinctly short. So I requested that an inch be chopped off. 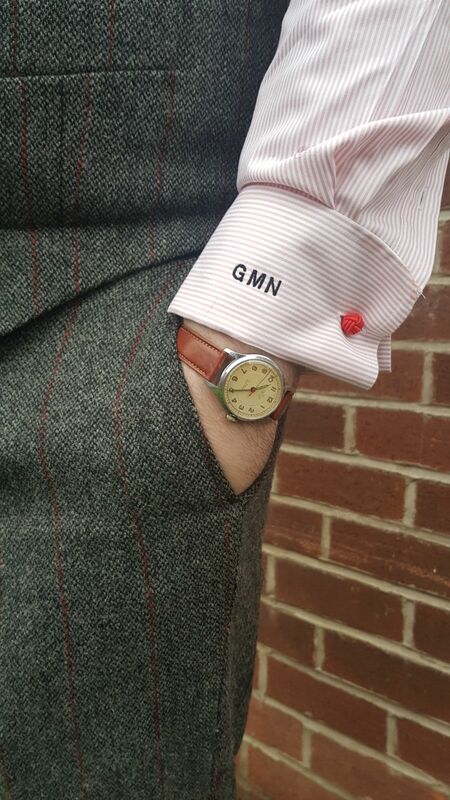 For extra fancy points, I also decided to have my initials, GMN, sewed onto the cuffs. Despite these extra requests, which I expected to add time on delivery (the website does advise an extra 48 hours), the shirts arrived within two days. I was impressed. Looking over the shirts, I was really pleased with my choices. Pink and navy are two classic colours and can be worn with all manner of things. The cotton material is lovely and soft and I can't fault the quality of the stitching. So many collars seem to have sewn in plastic collar stays (to keep the pointy collar shape) but pleasingly, they are removable on the shirts offered by Savile Row Company. 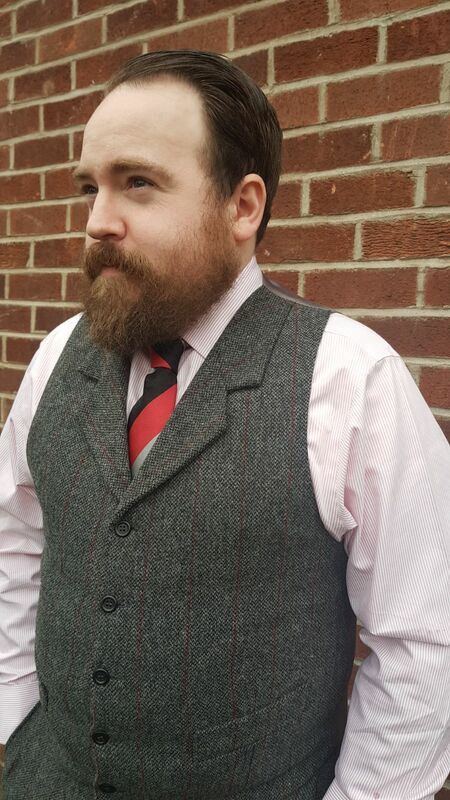 For me, this takes the shirts up another notch as I have a couple of nice sturdy collar stays that I like to use. The shirts are very reasonably too, with different deals offered. 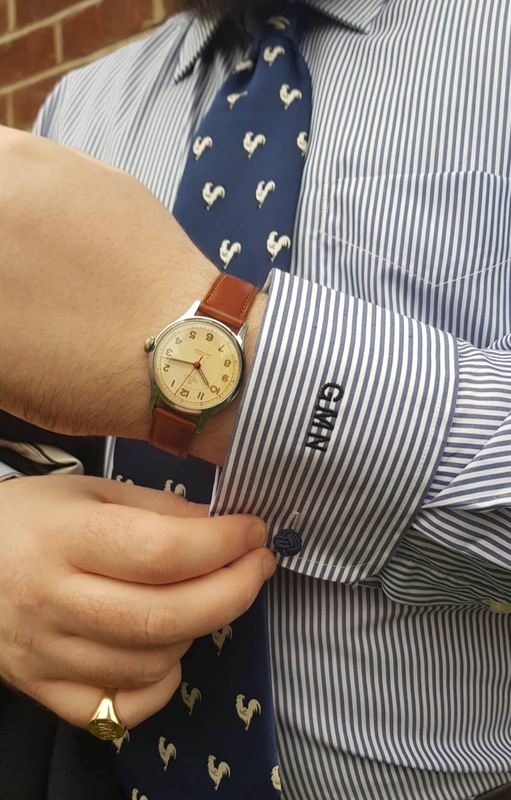 Of course, the personalised options such as monogramming and sleeve shortening are extra, but it does add a bespoke element to have these options offered to you. 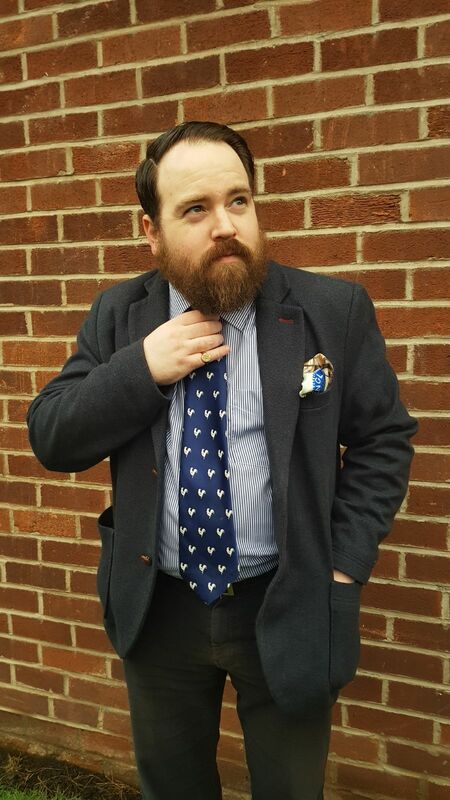 For me, Savile Row Company definitely give the likes of TM Lewin, Charles Tyrwhitt and Thomas Pink a run for their money, especially at such low prices. Please do tell us about your wristwatch. Of course! It's a Smiths A460 Antarctic model, made in their Cheltenham factory, sometime between 1958 to 1960. I penned a blog post about it a few months ago.